Cayenne is generally a safe herb. But because it is so potent, cayenne side effects may sometimes arise due to improper use or overuse of the cayenne herb. Also, do note that, when a particular herb has powerful health properties, it will naturally cause certain reactions in the body. Often, these are signs of cleansing or healing, sometimes referred to as detox reactions. People often mistake these as negative reactions or adverse effects. Cayenne is perceived to be a natural stimulant with no dangerous side effects like heart palpitations, increased blood pressure, hyperactivity, etc, which would normally be the case with drugs that work as stimulants. 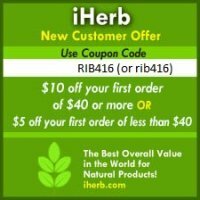 Sometimes, when more than one herb is being taken (herbal remedies mostly are a mixture of two to three herbs), it is likely that this could potentially create a scenario where herbs interact with other herbs, supplements and medications, resulting in seeming adverse effects on the system. But, like I mentioned earlier, these reactions may not be bad. Nevertheless, care and caution should be exercised. Common sense is also crucial. For example, do not suddenly begin taking large doses of any herb. Instead, a gradual buildup in dosage is a good idea. If possible, it would be good to seek the expertise of a qualified herbal or natural health practitioner. Cayenne seeds, as they can be toxic, should not be used. Also, if pregnant or breast-feeding, cayenne supplements should preferably not be taken. Those who suffer from allergic reactions to latex, bananas, kiwi, chestnuts, and avocado may also have an allergic reaction to cayenne. In addition, if capsaicin is taken for prolonged timeframes, there would be risk of developing some cayenne side effects like liver damage, stomach problems, etc, so do be careful on overdosing. A patch test on a small portion of skin is to be conducted to assess cayenne tolerance and any tendency to allergic reaction, before commencing usage of the cream containing capsaicin. If not tolerated well, it can cause burning, itching and severe allergic reactions. Capsaicin should not be used immediately after showering or before hot showers and it is also not to be used with a heating pad. After using cayenne, hands should be washed well and touching of the eyes is to be avoided. In addition, creams containing capsaicin should not be applied on the area around the eyes, or where there is broken skin or mucous membranes. Overdoing it on topical cayenne lotion or cream can cause external cayenne side effects, such as inflammation of the skin, ulcers and blisters. If a patient is being administered treatment of the following generic drugs for varied multiple conditions, then cayenne preparations should not be used without the supervision of a physician. Cayenne is contraindicated for individuals on ACE inhibitors, agents that reduce stomach acid, aspirin, blood-thinning medications and herbs, and theophyline.